An Arizona-based company plans to build a high-end senior living facility on the edge of Cherry Creek. Scottsdale-based Solterra Senior Living and equity partner Titan Fund Management spent $6.13 million last month to secure the site near the intersection of Alameda Avenue and Colorado Boulevard, where it plans to build a seven-story, 136-unit complex. The firm paid $5 million for 301 S. Harrison St., a 0.58-acre parcel where a car wash and auto body shop has operated. And Solterra paid $1.13 million for the adjacent 0.15-acre parking lot at 327 S. Harrison St. Combined, Solterra paid $192 a square foot for the land. Cushman & Wakefield broker Wade Fletcher represented the seller. He said the property was rezoned while it was under contract. Greg Corns, Solterra’s chief operating officer, said the company hopes to break ground at the end of the third quarter or the beginning of the fourth. “It’ll be about a 14-month build cycle,” he said. Solterra owns and/or operates four senior living facilities in Arizona and one in Castle Rock, where it is adding a 140-unit memory-care wing. The company also owns several facilities in Arizona for lower-income seniors, branded as Bridgewater Assisted Living. 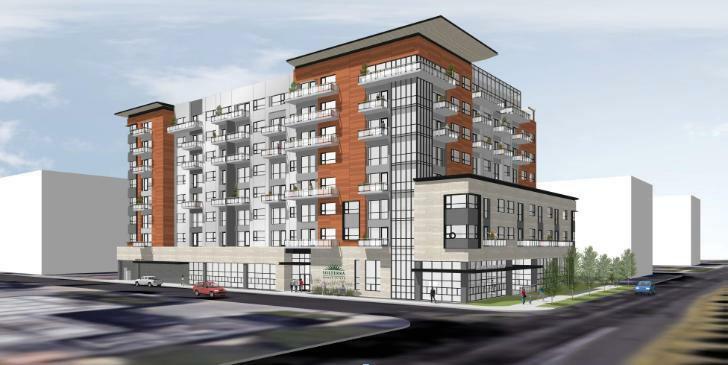 Corns said the Cherry Creek facility will have 136 units — a mix of one- and two-bedrooms — that likely will rent at monthly rates ranging from the low $4,000s to the $7,000s. Solterra looked at multiple sites around Denver, but tony Cherry Creek was the natural fit. “We were looking to build a higher-end product,” he said. The complex’s higher-end features will include concierge service and a “country club-type environment on the top floor,” Corns said, with outdoor patio and green space, plus fire pits. “We’re also putting in a golf simulator on the top floor as well,” he said. The building also will incorporate a “kids clubhouse,” for when the grandkids come to visit. “Nothing worse than hanging out in grandma or grandpa’s apartment listening to adults talk,” Corns said. The units will be rented as independent living, as opposed to assisted living or memory care, and Corns said there will be ways for residents to stay in place if they need more care, Corns said. Editor’s Note: This story was updated after publication to note the involvement of Titan Fund Management.